Buying vacant property among all the Sequim lots for sale is a little like having a new home built. There are so many Traps for the Unwary, so many things that can go wrong. Someone who hasn’t been in a real estate nightmare may think, “Oh, it won’t happen to me.” Maybe not, but that is like saying, “Oh, I won’t have a car accident.” Bad things do happen to good people. But looking at Sequim lots for sale and finding the perfect lot for your retirement home should be, and can be an exciting experience in this next phase of your life. Buying vacant land that hasn’t been developed by a professional developer/builder, requires many things. Of course, it makes a difference whether you’re buying one 5 acre parcel or 20 acres that need to be divided. Want to see my checklist of issues a developer is obligated to consider? This is not a checklist you necessarily need to use when buying an individual lot that is in an approved subdivision, but the developer must use a checklist like this. 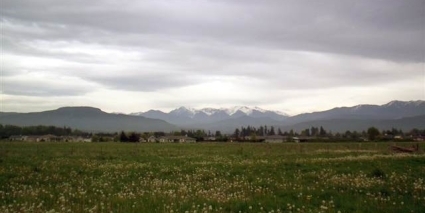 This list gives you an idea of how much is involved in developing Sequim lots for sale. You can search for Sequim lots for sale by using my http://www.SearchSequimMLS.com website. In this market we have more lots for sale at lower prices than we have seen in the inventory of Sequim lots for sale for many years.